Matt Reichel graduated from University of Illinois, Urbana-Champaign and has been a peace activist, involved with organizations like Illinois Peace Action and National Peace Action, since 2000. 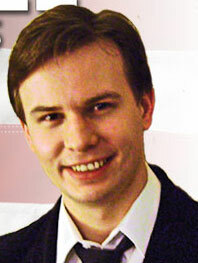 He worked on Dennis Kucinich’s presidential and congressional campaigns in 2008, and in 2009 he ran unsuccessfully for Congress in a special election in Ilinois’ fifth congressional district. He won the Green Party’s primary and won about seven percent of the vote in the general election. On February 2, 2010, Reichel won the Green Party primary for the same seat, and he is currently running a general election campaign. would like to officially endorse it. I am a big fan of his [Mike Gravel].